By default, Microsoft Operations Manager includes some monitors / rules that have the ability to monitor the disk utilization of system and/or data disks of your servers (and clients). This is a really nice feature, however there may be reasons why this kind of monitoring would still leave you one step behind of your users. After all, there would be no way to monitor if a set of data on a disk starts growing faster than you would like. You would get an alert – sure – but it might be too late already. Let’s say you have a disk on a fileserver, that contains all of the data/shares of your end users, and all of the homefolders. Assuming that the (for example) 300Gb disk contains 260Gb worth of data already. No problems so far, life is good, OpsMgr would not get trigger and alert yet (unless you have changed the default threshold values). Suppose one of your users starts copying a DVD to his homefolder… the available space would increase with 4Gb. OpsMgr would still not generate an alert. But let’s be honest – this would be something you would like to know, right ? If your data folders increase by 4Gb a day, then you would like to know this sooner – even before the “low level” threshold gets triggered. Out of the box, there is no way to do this. So I decided to write a small vbs script, and used the vbscript in an OpsMgr monitor. 3. The max amount of growth, in megabytes. When the script finishes (for the first time), you will get event ID 991, indicating that the script has finished (and has only created baseline information). In all other cases, you will get event ID 990, either containing the text “GOOD” when no problems have been detected, or containing some information about the folders that have triggered an alert. Specify a good relevant name. You can include the name of the server and the drive/folder, because you will have create a monitor for each server / folderset combination. File Name : choose a relevant filename for the script. Don’t forget the .vbs extension. You can simulate if the script works fine by add files/data to your folders and see if the growth is noticed by our monitor. 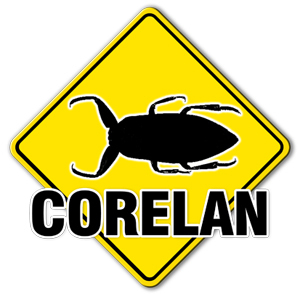 © 2008 – 2009, Corelan Team (corelanc0d3r). All rights reserved.